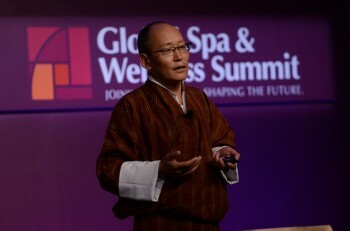 Two weeks ago at the Global Spa & Wellness Summit, I had the chance to hear from Dasho Karma Ura, the President of the Center for Bhutan Studies who spoke about their government’s unique approach towards Gross National Happiness. For the last several years, the Kingdom of Bhutan has inspired the world with their unique model of government. They have recognized that a country should not be measured on productivity alone, but on the happiness of its citizenry. They set out to measure things that are more important than productivity with a Gross National Happiness Index that looks at 33 indicators of public wellbeing. Items include Education, Health, Ecological Diversity and Resilience, Good Governance, Time Use, Cultural Diversity, Community Vitality, Living Standards, Psychological Wellbeing, and more. Unlike most governments, which base their policy decisions purely on the economy, the kingdom of Bhutan lets happiness be their guide. The world has been fascinated with Bhutan’s experiment in GNH. So much so that many other leaders around the world are now looking at incorporating national measures of wellbeing into their governmental analyses. 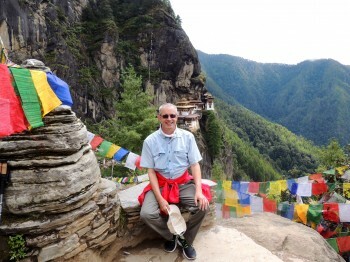 And people have been going to Bhutan in droves, to learn more about this amazing country. They even offer a “Gross National Happiness tour,” specifically geared towards anyone wanting to learn more about how their government works. Unfortunately, the glow of happiness in Bhutan appears to be fading somewhat. A couple weeks ago, the New York Times reported that the newly elected Prime Minister of Bhutan was shying away from their long-standing philosophy around Gross National Happiness, and focusing on more “concrete” goals. Some friends of mine, Bill and Lori Hutchinson, who own Hutchinson Consulting, were just in Bhutan a few weeks ago and said they detected a “whiff of embarrassment” about the “much-touted” GNH. There seems to be a sense of entitlement now among the Bhutanese, and important work is not getting done. Apparently, GNH-inspired tourism had become such a big part of the economy that people seemed to think their job was “to stand around and look happy.” Bill reports that country homes and traditions were declining as rural farmers abandon their life in the country for opportunities in tourism, technology and other new industries in Thimpu, the rapidly growing capital city. Workers are imported from India to do many of the harder jobs which, according to Bill, the locals just won’t do. So is a focus on happiness causing more harm than good in Bhutan? This would support the ideas of certain psychologists, like Russ Harris, the author of The Happiness Trap, who argues that a pursuit of happiness is destined to backfire. It can lead people to sacrifice what is important for what feels good. From my perspective, Bhutan’s heart is in the right place, but maybe they have swung too far in the happiness direction. The new Prime Minister’s approach towards fixing some of Bhutan’s largest problems is probably a needed correction and I still think the world has much to learn from Bhutan. Diener, E., Lucas, R., Schimmack, U., & Helliwell, J. (2009). 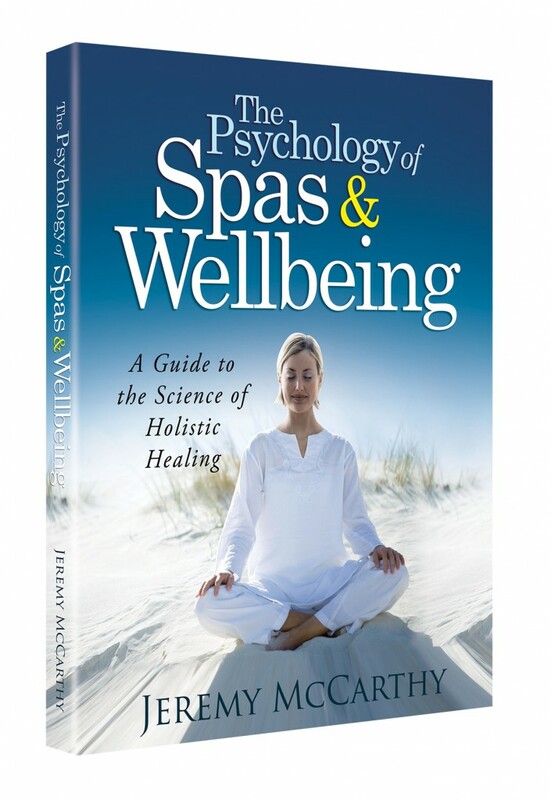 Well-Being for Public Policy (Positive Psychology). Oxford: Oxford University Press. Harris, R. & Hayes, S. (2008). The Happiness Trap: How to Stop Struggling and Start Living: A Guide to ACT. Trumpeter. The PRINT version of my book is now available on Amazon!!! I’m sorry to hear this and also not surprised since there is often a large gap in our current world between how a thing is portrayed and how it really is. I visited Bhutan in 1987 when my father was based there to help with an agriculture program for apple growing (he was a plant pathologist). There were no international flights, just a small plane out of India that could only make it over the mountains under certain weather conditions. Tourism was strongly limited owing I believe to the theft by outsiders of precious items from the monasteries. There were no luxury hotel-spas, and everywhere were signs of poverty. The landscape was stunningly beautiful and the culture clearly on the edge of enormous change. On the first night I mistakenly cleaned my teeth with tap water in my parents’ home (this was not advised) and spent the next few days delirious with some kind of pathogen. We took rabies vaccine with us for the expats there since it was much needed. I remember the open waterways in the capital being full of discarded plastic (since people apparently hadn’t understood yet that this was not biodegradable), and dead dogs and pigs which were contaminating the water people also used for drinking and washing. Good food was hard to come by and much of it imported. At the end of the 18 month job, my father contracted dysentery and nearly lost his life which was only to be 2 years more. Even then the Bhutanese did not work on the perilous mountain roads but employed poor Nepali women who did stone breaking and carrying entirely by hand. We witnessed some extraordinary sacred rituals including the dawn revelation down the entire side of a monastery of ancient thangka. The traditional clothing was worn by almost everyone. Many adults had the blood-red mouth stains indicative of chewing the stimulant betel nut. Yes, it was and is an astonishing place but it was no heaven on earth then and probably is not now. When I read about the happiness index and the 100% organic food growing there, I wonder if this really was the same country that I visited nearly thirty years now, if perhaps in between it had its glory days …. Or, if our Western culture is still looking outside of itself for the answers to health and happiness, instead of looking in, looking at where in the world we each are and what we can do to make that place and those we share it with happier and healthier. Thanks for writing this Jeremy. Thanks Sara for sharing your story. As always, I love your perspective and your poetic way of expressing it. What a great article, Jeremy. I agree with you re: the pursuit of happiness as the main goal may not add up to engagement, relationship building,and flourishing accomplishment, but it certainly is fascianating watching that country get the flywheel of positivity moving forward. Yes, perhaps more concrete wellness goals will now be on the forefront. Regardless, what joy to see tiny Bhutan to take a stand. I talked to my adopted son of Nepal about this. He said, Ama (Mama), to be happy to see to life as beautiful and wondrous. You work and play and swing up into the cloud and sky and you will find joy. You need to take care of yourself so you can give to the world and drink your tea and eat good food and take your medicine.” Pretty smart words from a 29 year old who is the most enlightened young man I know. True blue. Thanks for your interesting story, too, Sara. It is fascinating where happiness research is taking us and I had to re-read few times since it was such an interesting and puzzling statement. I suppose that it all depends on what our definition of happiness is? By the way, what is your definition of happiness Jeremy? Smiling all the time to me is not happiness. Happiness, to me, is profound peace of mind, gratitude and acceptance of things as they come. Yielding, like Tao the Ching would say. Perhaps there are some hygiene factors that need to be in place in order to live a genuinely satisfying life – eg employment, nutrition, healthcare, social welfare etc. The countries that do these well (nothern europe) seem to be doing ok.
Perhaps this whole happiness/meaning thing isn’t sustainable unless we have these basics in place – sort of fits with Maslow’s hierarchy of needs. I agree, a lot of the problems with Happiness come from the way the word may be interpreted by different people. I wrote about this (and my own views of what happiness means) here: http://psychologyofwellbeing.com/201103/the-first-rule-of-happiness-you-do-not-talk-about-happiness.html. It may be better to continue to pursue all of the elements of happiness, but without using the “H” word. 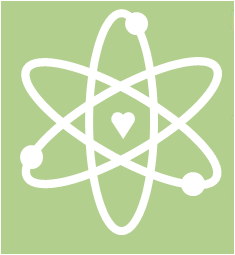 You could play “Happiness Taboo”: http://psychologyofwellbeing.com/201309/happiness-taboo.html. There is a paper on this idea by Shane Lopez and others that looked at the question of whether the link between happiness and health was a “first world problem” (i.e., only relevant in wealthier countries where basic needs were met. They were surprised to find that this wasn’t the case–the link between happiness and health was the same or stronger in third-world countries. Stay tuned as I will have more to come on this subject. Jeremy – not sure where you pulled health from in relation to my comment. I was using the term hygiene in a broader context – not just health. The article I saw I Bhutan suggested that perhaps having a drinking well was more important than a happiness economy. And I’d have to agree. Happiness is always difficult to define. I would pay more attention to studies about longevity, number of children, number of divorces, etc, since the parameters are easier to compare. Anyway, a very interesting article. I hope the world won’t use Bhutan as another reason to confirm that the economy is the one and only way to direct and measure all our effort/outcomes. Happiness is certainly not a perfect model, but neither is the economy. When big “food” companies, farming practices and medical care are dictated by the laws of profit, very, very troubling things happen too – as we can clearly see in the USA. So while Bhutan may not have found the secret sauce yet, I applaud the progress of looking for alternatives. There may be some trial and error involved before we find something that really works, but clearly we’ve now pushed the economy model too far and it’s time to look for something more viable.